Over the years, many American candy bar companies have tried to release versions of a peanut butter cup, but Hershey's Reese's Peanut Butter Cups always seem to come out on top. 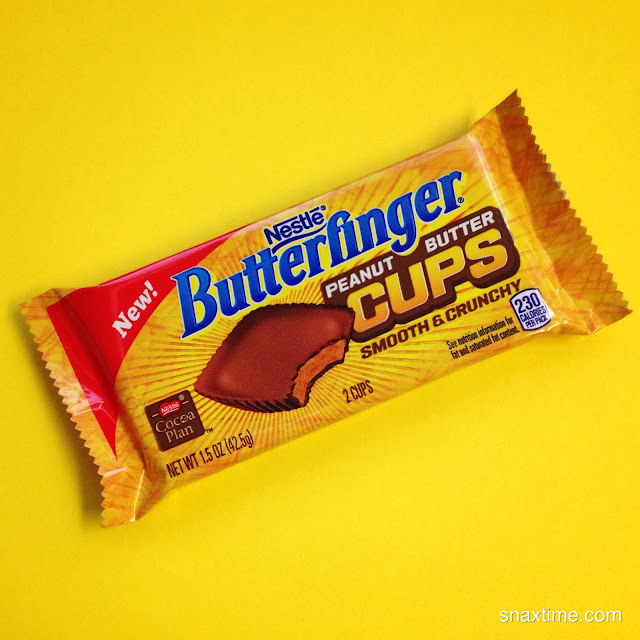 Nestle gives it a go with their NEW Butterfinger Peanut Butter Cups which are advertised as being smooth AND crunchy. One usually associates Butterfinger with their signature crunchy, flaky peanut butter center enveloped in milk chocolate so it seems fitting that these new cups have a crunch to them. Certainly what sets these candy cups apart from Reese's is the texture, but the taste is unique as well because the peanut butter is very reminiscent of the confectionary center of an original Butterfinger. 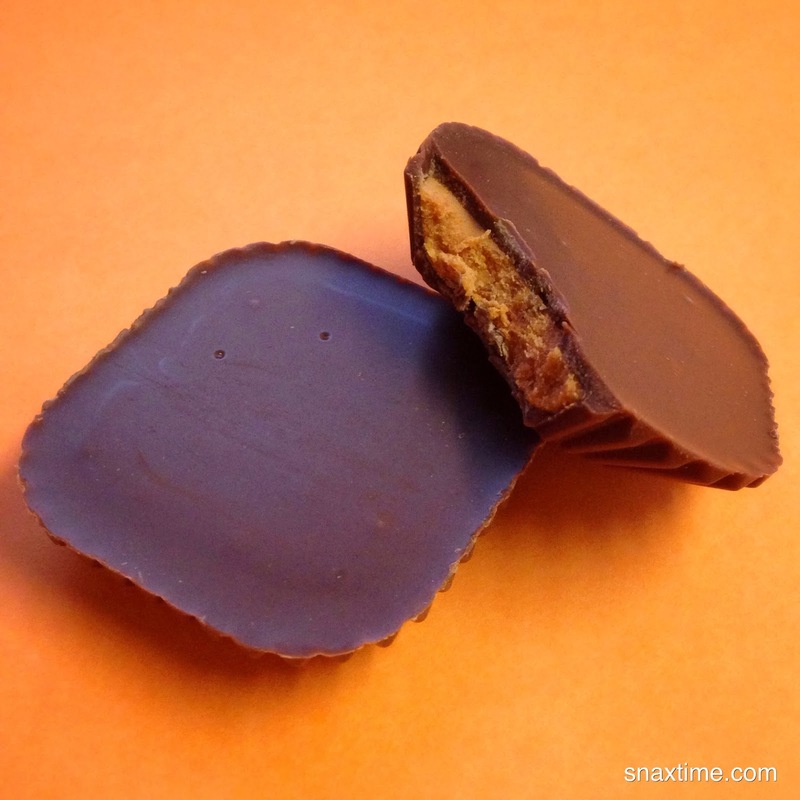 The squared off shape is unique as well and the milk chocolate seems more firm and sweet than the milk chocolate in a Reese's cup. What we really liked about Nestle's cups is the lack of a paper wrapper around each cup. Once you rip open the package you can jump right in and not worry about taking off and discarding extra paper. While overall we still prefer Reese's Peanut Butter Cups, we really enjoyed the new Butterfinger cups and found them refreshingly different enough from Reese's to warrant a presence in the competitive American candy market.